We encourage you to read Parish Priest, a book that focuses on Father McGivney's priestly identity, his heart and manner. 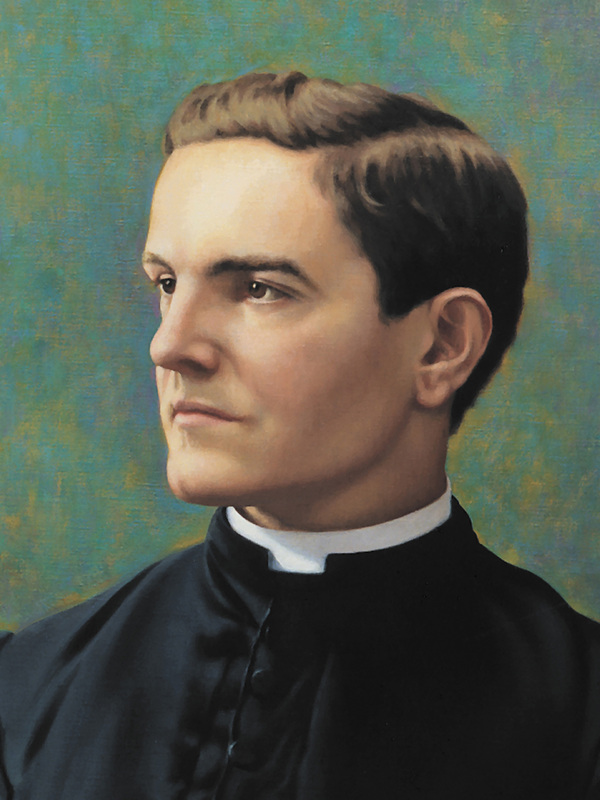 Father Michael McGivney was born in Waterbury on August 12, 1852. His parents, Patrick and Mary (Lynch) McGivney, had arrived in the great 19th century wave of Irish immigration. Patrick McGivney became a molder in the heat and noxious fumes of a Waterbury brass mill. Mary McGivney gave birth to 13 children, six of whom died in infancy or childhood. So the first child, Michael, with four living sisters and two brothers, learned early about sorrow and the harsh grip of poverty. He also learned about the powers of love and faith, and family fortitude. He went to the small district schools of Waterbury's working-class neighborhoods. A good child, he was admired by his school principal for "excellent deportment and proficiency in his studies." Then, after the Civil War, when Connecticut's metals industry was booming, he left school at age 13 to go to work. His job in the spoon-making department of a brass factory provided a few more dollars for family survival. When Michael reached the age of 16 in 1868, he left the factory. With the priesthood clearly in mind, he traveled with his Waterbury pastor to Quebec, Canada. There he registered at the French-run College of St. Hyacinthe. He worked hard on subjects which would prepare him to apply for seminary admission. Two academic years followed at Our Lady of Angels Seminary, attached to Niagara University in Niagara Falls, New York. Young McGivney moved next to Montreal to attend seminary classes at the Jesuit-run St. Mary's College. He was there when his father died in June of 1873. Lacking funds and concerned about his family, he went home for the funeral, lingering awhile in Waterbury. Then, at the request of the bishop of Hartford, he entered St. Mary's Seminary in Baltimore, Maryland. 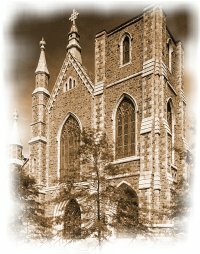 After four years of study, on December 22, 1877, he was ordained in Baltimore's historic Cathedral of the Assumption by Archbishop (later Cardinal) James Gibbons. A few days later, with his widowed mother present, he said his first Mass at Immaculate Conception Church in Waterbury. Father McGivney began his priestly ministry on Christmas Day in 1877 as curate at St. Mary's Church in New Haven. It was the city's first parish. 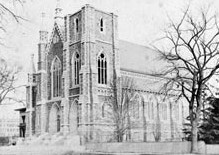 A new stone church had been built, after the old one burned, on one of New Haven's finest residential streets, Hillhouse Avenue. There was neighborhood objection which even the New York Times noted in 1879, under the headline: "How An Aristocratic Avenue Was Blemished By A Roman Church Edifice." 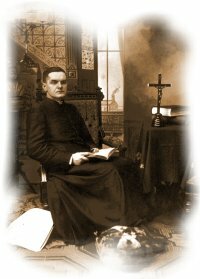 So Father McGivney's priestly ministry in New Haven began with tension and defensiveness among the working-class Irish families he served. One of the responsibilities of St. Mary's priests was pastoral care of inmates of the city jail. In a notable case, a 21-year-old Irishman, while drunk, shot and killed a police officer. James (Chip) Smith was tried for first-degree murder in 1881, convicted and sentenced to be hung. Father McGivney visited him daily. After a special Mass on the day of execution, the priest's grief was intense. 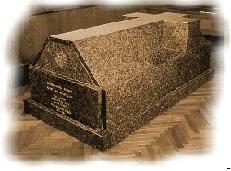 The young offender comforted him: "Father, your saintly ministrations have enabled me to meet death without a tremor. Do not fear for me, I must not break down now." Father McGivney worked closely with the young people of St. Mary's parish, holding catechism classes and organizing a total abstinence society to fight alcoholism. In 1881 he began to explore with various laymen the idea of a Catholic, fraternal benefit society. In an era when parish clubs and fraternal societies had wide popular appeal, the young priest felt there should be some way to strengthen religious faith and at the same time provide for the financial needs of families overwhelmed by illness or death of the breadwinner. He discussed this concept with Bishop Lawrence McMahon of Hartford, and received his approval. He traveled to Boston to talk with the Massachusetts Catholic Order of Foresters, and traveled to Brooklyn to consult the Catholic Benevolent Legion. He met with other priests of the diocese. Wherever he could, he sought information that would help the Catholic laymen to organize themselves into a benefit society. People who knew Father McGivney in this period were impressed by his energy and intensity. Father Gordian Daley later recalled, "I saw him but once, and yet I remember this pale, beautiful face as if I saw it only yesterday. It was a ’priest’s face’ and that explains everything. It was a face of wonderful repose. There was nothing harsh in that countenance although there was everything that was strong." William Geary, one of the Order’s charter members, said that at the first council meeting in 1882, he was "acclaimed as founder by 24 men with hearts full of joy and thanksgiving, recognizing that without his optimism, his will to succeed, his counsel and advice they would have failed." Father McGivney had suggested Sons of Columbus as a name for the Order. This would bind Catholicism and Americanism together through the faith and bold vision of the New World’s discoverer. In April 1882, Father McGivney, with the permission of Bishop McMahon, wrote to all the pastors of the Diocese of Hartford. The Order’s primary objective, he wrote, was to dissuade Catholics from joining secret societies by providing them better advantages at times of death or sickness. He urged each pastor to exert influence "in the formation of a Council in your parish." 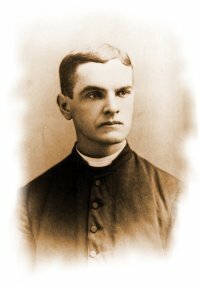 Father McGivney personally installed the first officers of San Salvador Council 1 in New Haven, in May 1882. 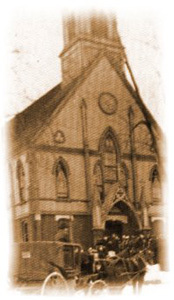 By May 1883, Council 2 had been instituted in Meriden, Connecticut and Bishop McMahon, so impressed with the organization, became a member of Council 11 in 1884, and served it as council chaplain. By the end of 1885, there were 31 councils in Connecticut. 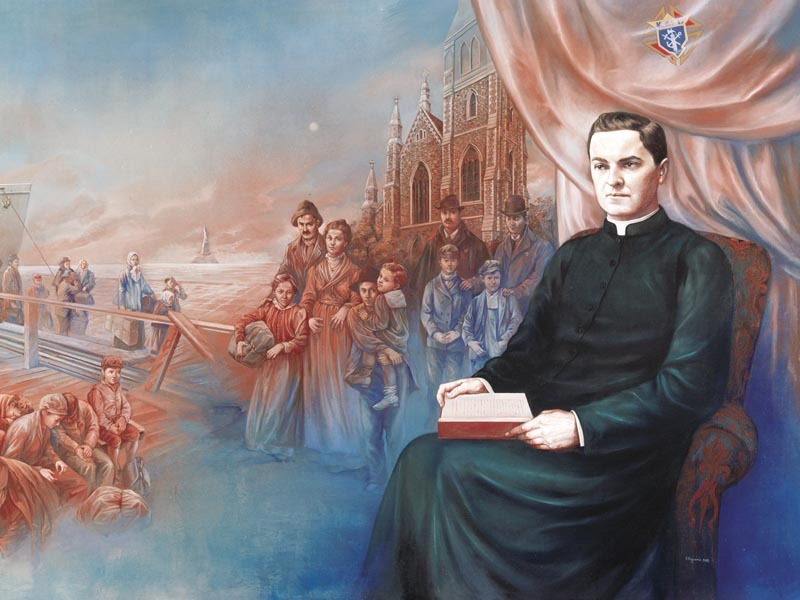 Father McGivney’s dedication to the Order was evidenced in trips he made to all parts of Connecticut and in handwritten correspondence—little of which survives—about K of C business. At St. Mary’s, despite all this, he remained the energetic curate with constant concern for every parishioner’s problems. Then in November 1884, he was named pastor of St. Thomas Church in Thomaston, Conn., a factory town 10 miles from his hometown. It was a factory parish, heavily in debt, serving working-class parishioners with few resources beyond their faith. With prayerful acceptance, Father McGivney put his seven years at St. Mary’s behind him. 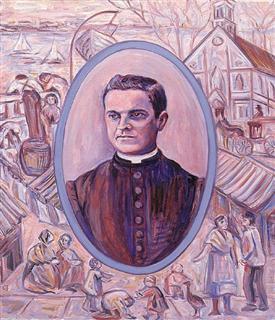 His New Haven parishioners, in a testimonial resolution elaborately superimposed on the drawing of a chalice and host, declared that despite burdens and afflictions, his courtesy, his kindness and the purity of his life had "secured the love and confidence of the people of St. Mary’s, which will follow him in every future field of labor." In six subsequent years at St. Thomas, he wrestled with the church debt and built the same close ties of devotion and charitable concern he had developed in New Haven. He continued, as well, to serve as supreme chaplain, personally involved in helping the Order to extend its membership into Rhode Island. Later, from 1901 to 1939, his younger brothers, Msgrs. 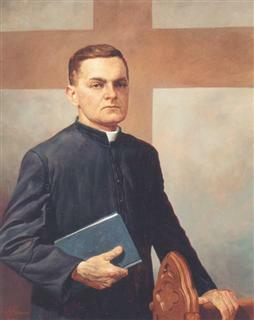 Patrick and John J. McGivney, served the Order as supreme chaplains. 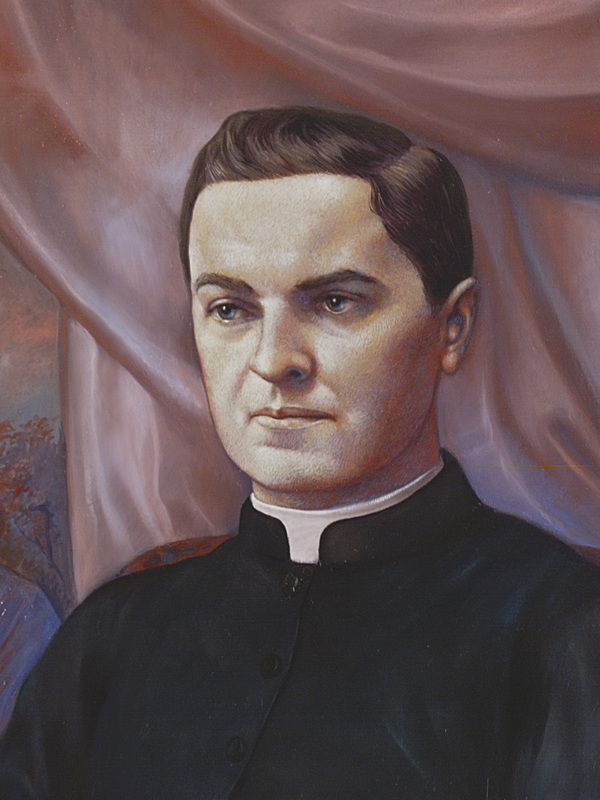 Never robust in health, Father McGivney was suddenly stricken with a serious case of pneumonia in January 1890. It hung on. Various treatments for consumptive illness were tried, but his decline persisted. The young priest lost physical strength just as the Order he founded was moving toward new vitality. 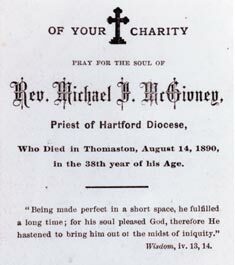 On August 14, 1890, Father Michael J. McGivney died at the age of 38. 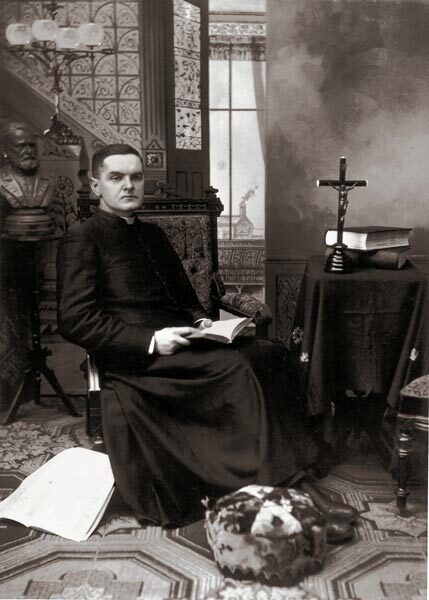 In his 13 brief, busy years as a priest, Father McGivney’s piety and compassion had won the love of those he served as curate and pastor. His Christian inspiration, leadership and administrative drive had brought him the loyalty and affection of thousands who knew him as the founder of the Knights of Columbus. From the moment he launched it, the organization fortified Catholics in their faith, offered them ways to greater financial security in a sometimes hostile world, and strengthened them in self-esteem. Remarkably developed from its simple beginnings in a church basement, the Knights of Columbus today combines Catholic fraternalism and one of the most successful American insurance enterprises. The four towers of the international headquarters symbolize the Order’s worldwide commitment to charity, unity, fraternity and patriotism. More than 12,000 fraternal councils are active in 13 countries. Nearly 1.7 million Knights contribute about $130 million and 61 million hours of volunteer service to charitable causes each year. And—as a particular result of the Order’s multi-faceted services to the Church—the board of directors in 1988 conducted formal business of the Order for the first time in a room named for the Knights of Columbus within the ancient St. Peter’s Basilica in Rome. At St. Mary’s Church in New Haven, Father McGivney’s polished granite sarcophagus, sheltered inside a totally restored church, now has become a shrine for pilgrim Knights where the Order began. At the first memorial service for deceased Knights held later in the year he died, this tribute was accorded him: "He was a man of the people. He was zealous of the people’s welfare, and all the kindliness of his priestly soul asserted itself more strongly in his unceasing efforts for the betterment of their condition . . .Oh, Reverend Founder. . .that act alone which gave life to the Knights of Columbus has surely secured for thee everlasting joy and eternal peace."